IK Multimedia introduced the iRing at the CES in Las Vegas. Now control your music apps and effects without touching your device with the iRing touchless controller for iPhone, iPad and iPod touch. 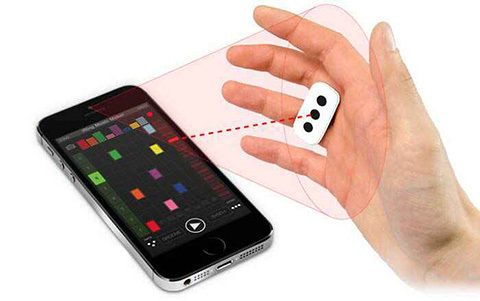 The new iRing uses hand gestures to control parameters of effects and other items in your music apps, allowing you to create stunning and dramatic music in an incredibly fun way by simply moving your hands in front of your device. The iRing will be available during the first quarter of 2014 for $24.99. It can be pre-ordered from the IK Multimedia website.